Since Jack Carthys great successes many trial riders changed their handlebar position in an extremely way. 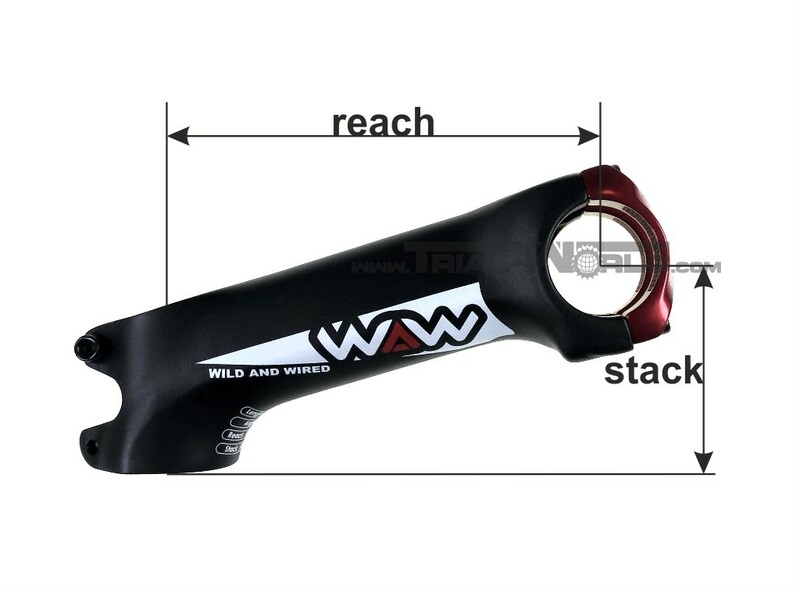 This stem provides a complete new geometry with the progressive advantage of a turned forward handlebar, but without the unergonomic wrist position. For a real precise adjustment all stems have additional measures reach and stack (see pictures). -The Topcap is integrated and close to the surface, to minimize the risk of injuries and an elegant look. Furthermore it's no more necessary to cut the steerer tube with an angle! -The gallows has a special trapezes profile which guarantees the best stiffness and stability. 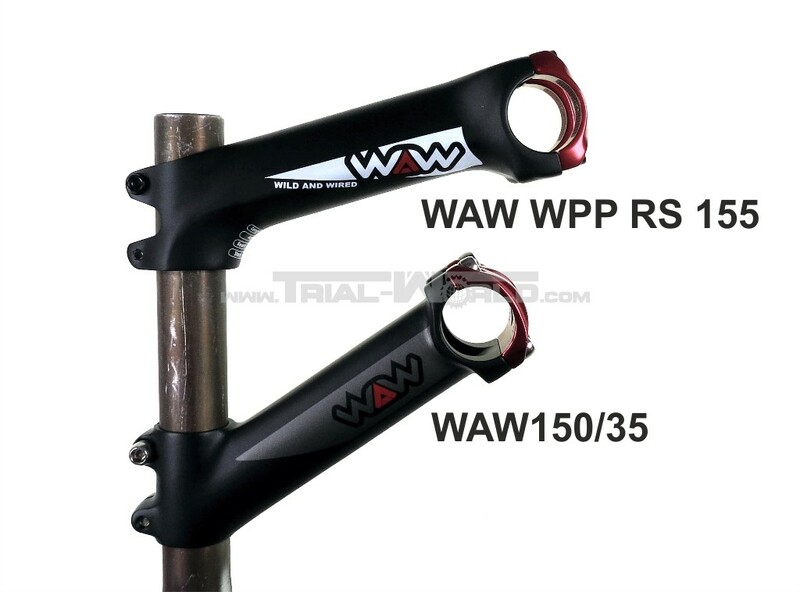 -Each handlebar clamp has a width of 15mm with a riffle to resist even the strongest leverage of a high riser handlebar. 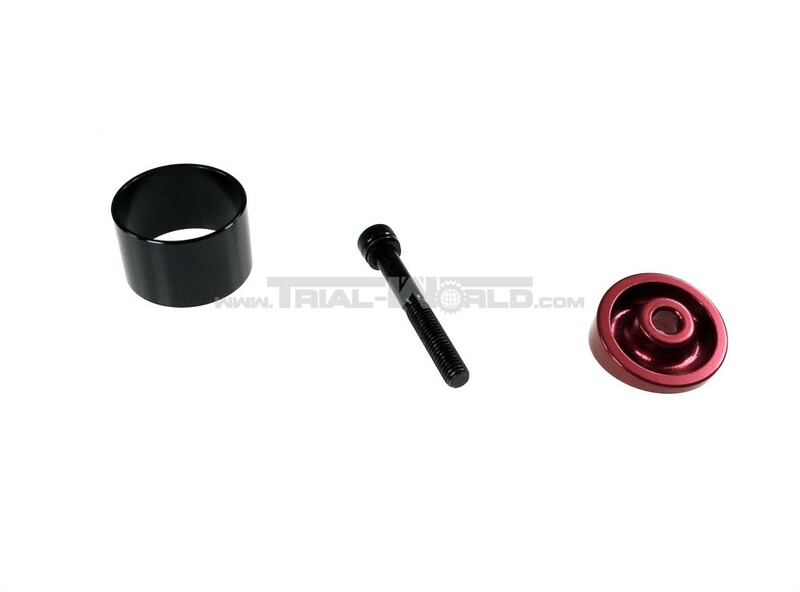 The forged stem is build of 2014-T6 aluminium and a M6x45 bolt and topcap is part of delivery. Athere is also a 20mm spacer provided. This spacer is for testing the hight of the steerer tube and can pe placed between the stem and the topcap, before cutting the steerer tube.